Decimal Lab : Text : What is neural lace? 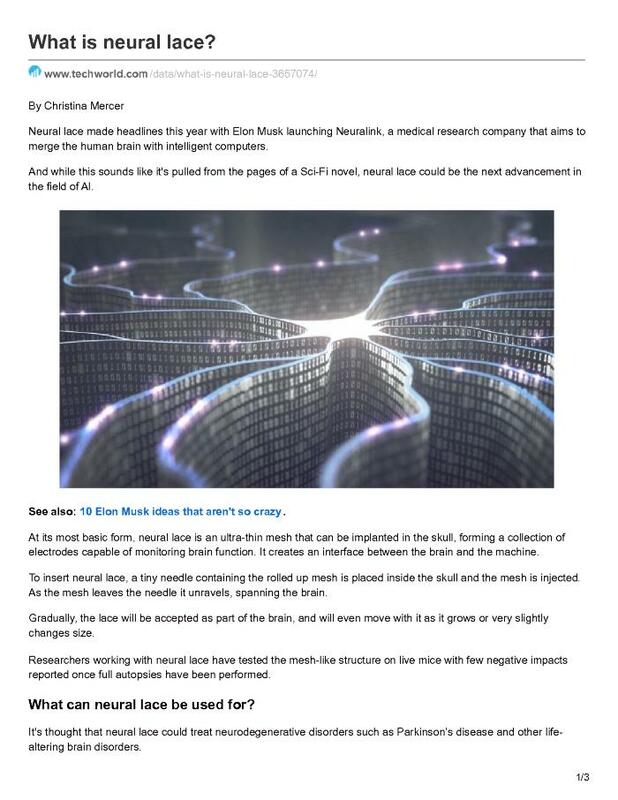 Neural lace made headlines this year with Elon Musk launching Neuralink, a medical research company that aims to merge the human brain with intelligent computers. And while this sounds like it's pulled from the pages of a Sci-Fi novel, neural lace could be the next advancement in the field of AI.